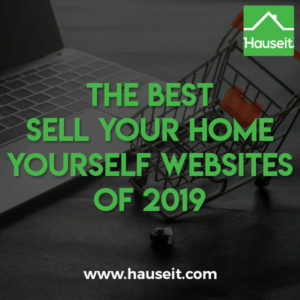 The best sell your home yourself websites of 2019 are Zillow and Craigslist on a national level, and The New York Times and StreetEasy on a local New York City level. Realtor.com is also a close runner up on a national level, though you’ll need to sign up for a flat fee MLS listing to be able to get on there. Keep in mind that all of these sell your home yourself websites do exactly that, enable you to market your property for sale by owner. However, selling your home FSBO may not be the best idea given that 90% of all home buyers are represented by buyers’ agents. Listing FSBO means your property is off market because it’s not listed in the MLS, and as a result buyers’ agents won’t touch your property. In fact, one of the most annoying things about listing your home FSBO is that you’ll get so many cold calls from brokers, just not the ones who have a buyer for you. FSBO sellers are one of the favorite types of leads for hungry brokers looking to secure their next sell side client. Zillow is one of the most well-known sell your home yourself websites, due in part to the fact that it covers all 50 US states. Posting your home For Sale By Owner (FSBO) doesn’t cost anything, and you’re able to receive inquiries directly. Posting your listing on Zillow means it will automatically appear also on Trulia within 24 hours. Keep in mind that Zillow Group is a monster in the online home search space, and Zillow Group owns many of the most popular real estate search websites including Zillow, Trulia, StreetEasy, Hotpads, Naked Apartments, Realestate.com, and Out East. Pro Tip: Keep in mind that listing your home FSBO on Zillow means it’s effectively off market because it’s not listed on the MLS. The only way to get around this problem is to list your home on your local MLS through an Agent Assisted FSBO listing. Craigslist is one of the oldest options for sellers looking to do it themselves, and still gets billions of visitors per year. When posting a home FSBO on Craigslist, remember to select “housing offered” and not “for sale by owner” when asked what type of posting it is. We know it’s confusing, but if you go to the latter you won’t see a category for real estate. However, if you select “housing offered” you’ll see an option for “real estate – by owner” which you should choose. Once there, you’ll see Craigslist’s famously simple interface which allows you to post some basic details about your property such as the price, square footage, housing type, laundry, parking, bedrooms, bathrooms, date available as well as open house dates (but not times). Note that owners looking to rent and sell their apartment must use the same posting interface on Craigslist, there is no distinction. With that said, Craigslist’s real estate by owner postings do seem more geared towards rentals because it asks questions such as whether the apartment will come furnished, and when the apartment will be available for move-in. Pro Tip: There are 50,000 licensed real estate agents in NYC alone, all offering “free” services to home buyers. As a result, 90% of buyers end up being represented by agents, and the only way to engage these represented buyers is through their agents on the MLS. As a result, you’ll need to list your property on your local MLS to get full exposure to all buyers. The New York Times is one of the classic sell your home yourself websites for the New York metro area. In fact, the New York Times offers listings in not just New York but New Jersey and Connecticut as well. However, it’s important to note that it’s not free to post a listing FSBO on The New York Times. As of this writing in 2019, it costs $130 for 14 days of online only exposures. Alternatively, you can pay $280 for 28 days of online exposure plus have a blurb about your property appear in print on one Sunday’s newspaper. Don’t want to pay up for a For Sale By Owner listing on The New York Times? 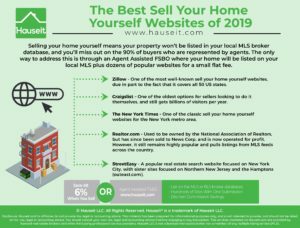 You can still get on The New York Times, plus your local MLS broker database and dozens of other popular websites all at once for a small flat fee through Hauseit’s Agent Assisted FSBO program. 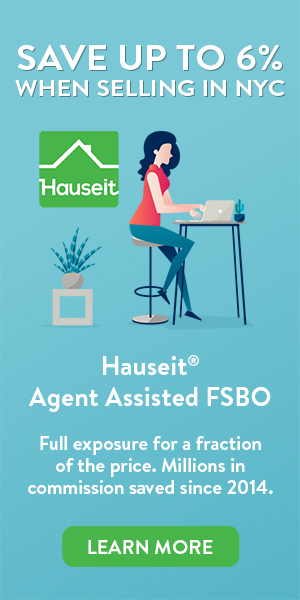 As of this writing, Hauseit’s Agent Assisted FSBO program provides comprehensive listing exposure for 6 months for a one time, small flat fee paid upfront. This compares extremely favorably in cost compared to pay The New York Times every 14 days, and only being listed on one website for it. Realtor.com used to be owned by the National Association of Realtors, but has since been sold to News Corp. and is now operated for profit. However, it still remains highly popular and pulls listings from MLS feeds across the country. However, as of this writing, it is not possible for a seller to directly list their property on Realtor.com for sale by owner. That doesn’t mean that you need to pay full commission just to get exposure on this popular website however. You can list your home on your local MLS broker database plus dozens of popular websites all at once through an Agent Assisted FSBO, often known colloquially as a flat fee MLS listing. With an Agent Assisted FSBO listing, your property will appear on Realtor.com, your local MLS and dozens of other popular search websites for a small, one-time flat fee. If you sell to a direct buyer, you’ll be able to save all 6% in traditional broker commissions. If you decide to sell to a buyer who is represented by an agent, then all you’ll owe is the buyer agent’s fee (typically 2-3%). StreetEasy is a popular real estate search website focused on New York City, with sister sites focused on Northern New Jersey and the Hamptons (outeast.com). StreetEasy is owned by the Zillow Group, which means listing your home for sale by owner means your listing will also appear on Zillow and Trulia. However, a FSBO listing on StreetEasy doesn’t come cheap. StreetEasy will charge you $599 for its minimum package which gives you 28 days of basic listing exposure. If you pay $799 as of this writing in 2019, you’ll also get your listing featured in StreetEasy search results for four weeks. Don’t want to pay this much just to list on StreetEasy? 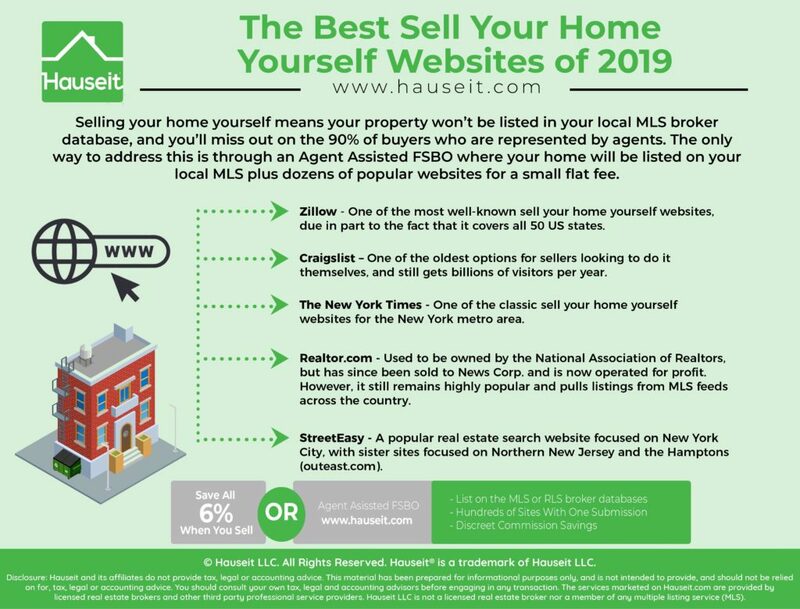 We recommend checking out Hauseit’s Agent Assisted FSBO listing service which will get your property on StreetEasy plus your local MLS broker database (REBNY RLS for NYC sellers) and dozens of other popular websites all at once. The cost of this service as of this writing is under $350 for 6 months of listing exposure. This compares extremely favorably to StreetEasy’s For Sale By Owner service both on a price and a marketing exposure level. Remember that StreetEasy is charging $599 as of this writing for just 28 days on its website, whereas Hauseit’s partner brokers will get your home listed on the REBNY RLS, StreetEasy, Zillow, Trulia, The New York Times, Realtor.com and many more for 6 months for under $350.